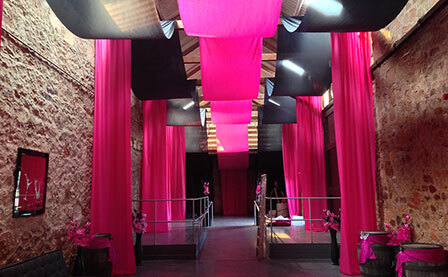 Fabric installations whether temporary or permanent, can transform a space. Our creativity combined with our technical knowledge and practical experience allows us to create bespoke installations that are exactly right for a venue. 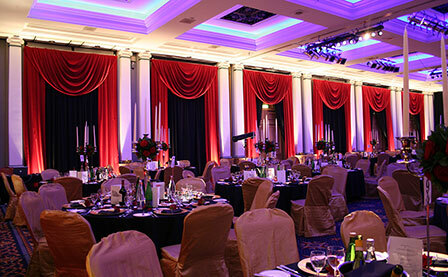 We are ‘pipe & drape’ specialists. This is a lightweight telescopic fabric support system that allows us to turn around a room at speed. Delegates can leave a conference at 5pm, and return for a drinks reception only hours later to find the same room completely transformed. Carnival Chaos stock a wide variety of drapes in various colours, textures and patterns to match your company or event identities. All are fire rated to industry standard. 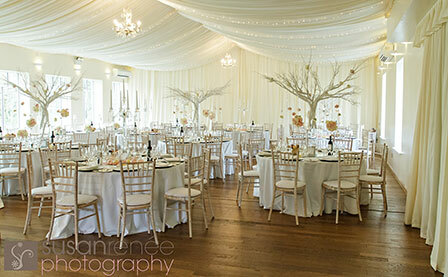 Additional drapes can also be made in-house to your exact specifications.